The war started while I was a migrant and watching events unfold remotely, and what was happening to my country left me in tears and with a broken heart. I was a student in the United States of America, and after President Trump assumed power, my situation became very complex, as Yemenis became unwanted in many countries. Sana’a seemed to move further away from me, and thoughts of never returning lingered in my mind. After years of desperation and a very long process, I miraculously received the US green card, which meant that I could now travel freely as a citizen of another nation – and return to Yemen. And so I packed my bags to go back, although I knew there were many obstacles and daunting events awaiting me as soon as I set foot on the ground. No one was informed about my plan; not even my mother, who has longed for my return for five bleak years, when all that connected us was one phone call a week to hear from each other and pray to be reunited again. As the plane approached Aden, after a long journey full of delays because of my Yemeni passport, I saw the city’s beaches and coasts: this left me in tears as I reminisced about the times I had spent there. During touchdown, people started clapping and whistling, expressing their happiness about returning home safely. My journey inland to Sana’a, my first and only refuge, commenced, and seven hours and many check points later, the city’s lights started appearing and brightening for me. Because of all that had occurred during the past three years, I didn’t expect to see Sana’a in a normal state – especially after watching the news on certain channels. Evidently they lied and portrayed an ugly image, perpetuating fear and terror. Sana’a is not what we see on these news outlets: it remains alive and is surviving. Never have I seen people adamantly attached to life despite all the despair and despicableness; only Yemenis, especially those residing in Sana’a, have this quality. The city’s inhabitants have lived through some of the most terrible times in its recent history, yet despite all this people refused to die, and instead continued to live life and hold on to continuity. 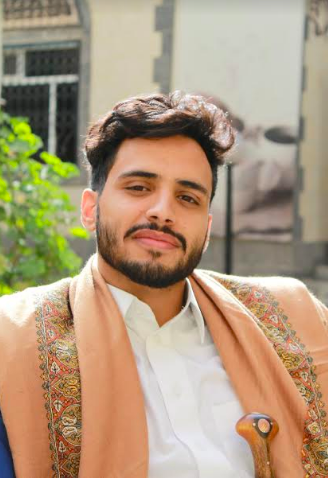 From the first day, I used my cellphone camera to film videos portraying my life and other Yemenis’ daily lives in Sana’a, uploading them to social media websites such as Snapchat, Instagram and Facebook. 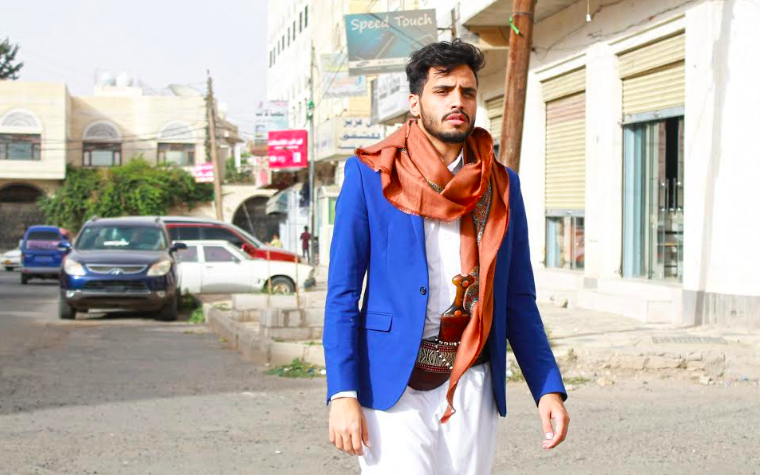 The duty of portraying normal Yemeni daily life without polishing, editing or misleading became mine. Most of the people benefiting from my coverage were Yemenis in exile, tired of the lies and hypocrisies of news outlets covering Yemen, and I felt a moral obligation to cover the current situation as it is. 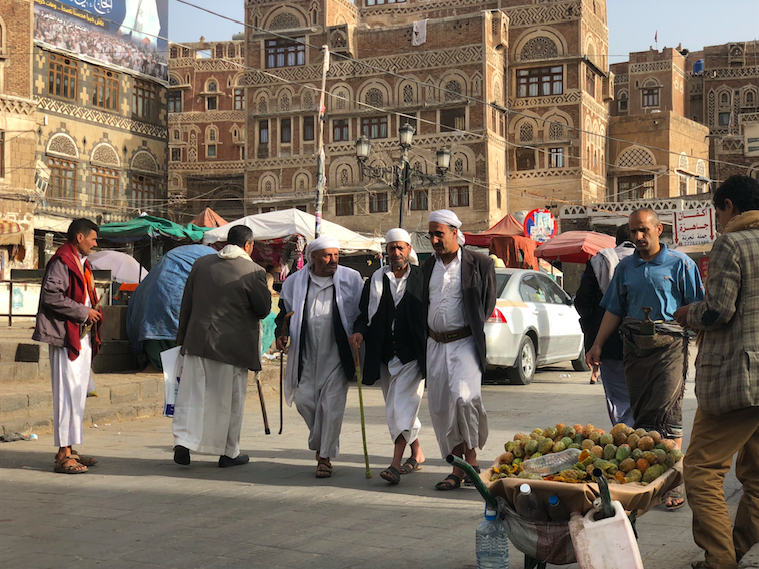 I immersed myself in places where ordinary Yemenis live, walking through crowded streets and roundabouts and to the alleyways of Sana’a’s old city, where I spoke to kids and old people. I visited many historical places and shared with my Instagram followers just a small part of living Sana’a, while others are censoring it. The feedback I received was stunning; everyone who saw Sana’a through my lens was shocked because they saw a different image to what they were accustomed to on TV, the same image I had before setting foot in Sana’a. The city is not destroyed, it’s not a ghost town – on the contrary, it’s full of life and hope, people here are living normally in spite of not receiving government salaries, the siege, airstrikes, and power cuts. They go to markets, coffee shops, restaurants and parks as if they are completely isolated from the political crisis that has been in gridlock for years. I participated in many humanitarian events organized by independent volunteers. We organized an event called ‘A Thousand Smiles’, aiming to make a thousand orphans smile in Sana’a, and indeed we invited a thousand orphans for Ramadan Iftar and a theatrical musical show. I also participated in ‘Family For a Day’, a humanitarian event organized by the same group, where we went to the center for special needs children and spent an entire day playing, dancing and singing together. The children’s smiles radiated hope despite all the pain. It made us believe in the Mahmoud Darwish quote: “There’s something on this earth worth living for”. And no matter how much pain the body feels, hopes and dreams only require a living heart that believes in survival. Now I bid farewell to Sana’a, not knowing when my return will be. My visit made me believe that the country is immune to those who meddle with it. Our homeland is not a person, a political party, a group or religious sect: it is the ground that carries all of us, it is the inherited love that remains in our hearts no matter how far we go or how long the war separates us. The homeland is the normal, ordinary people who give us the basis of life. The homeland is that human feeling that always remains inside our souls. We carry it with us wherever we go.